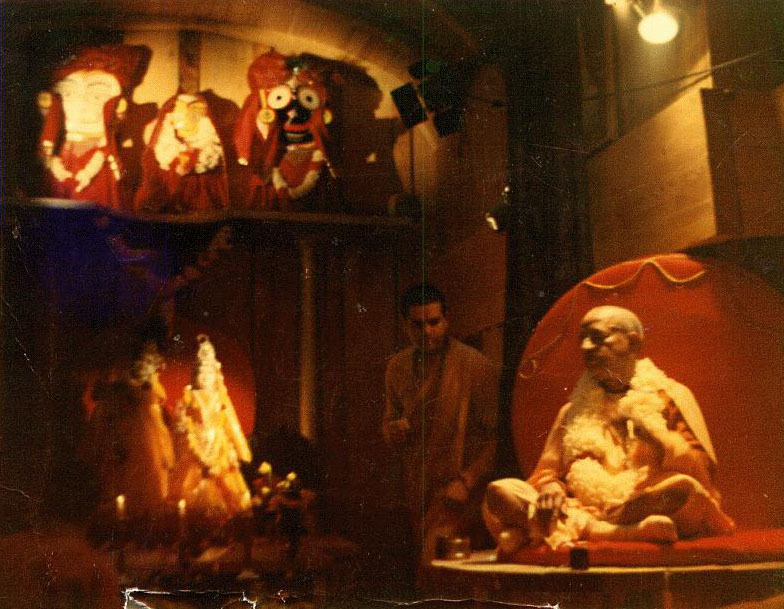 The following conversation between Srila Prabhupada and Mr. Malhotra recorded in Poona, December 22, 1976, is a good instruction on our relationship between guru and disciple. 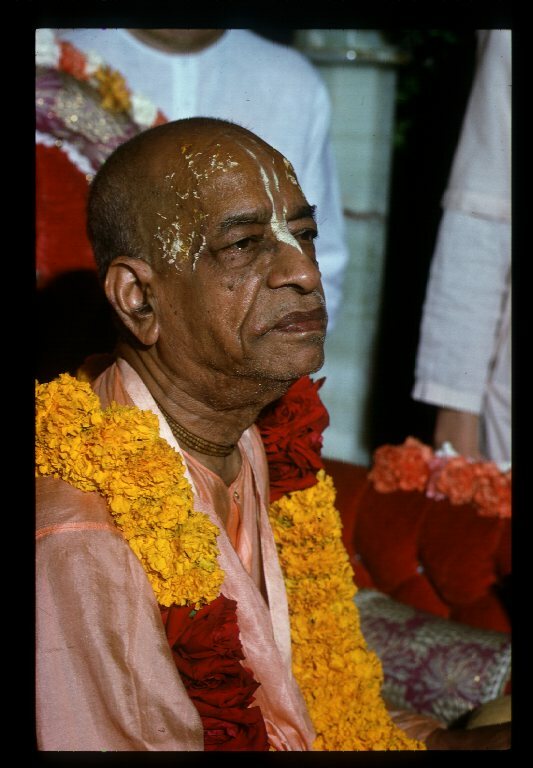 Prabhupada: Not equal; representative. Not equal. I send one representative of this man, and he may be very expert, doing very good business, still he cannot be equal with me. He is acting as my representative, that’s another thing. But not that he has become the original proprietor. 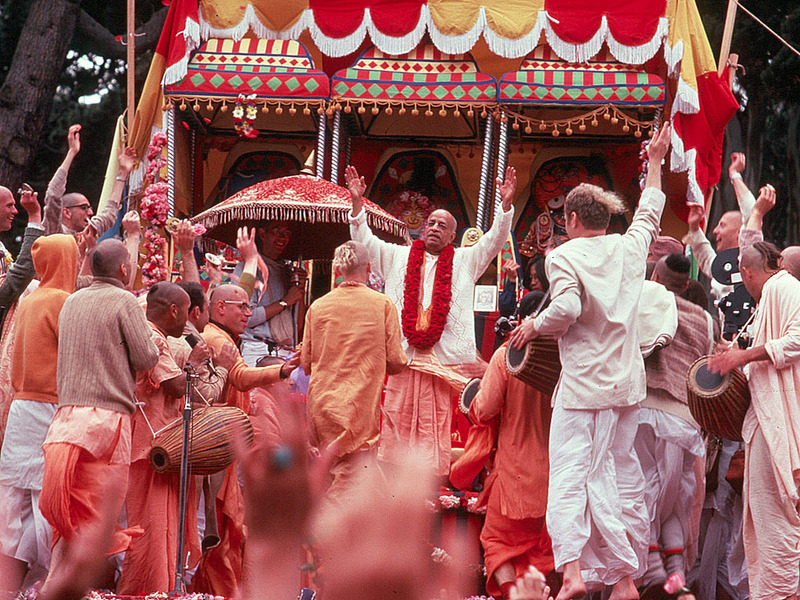 Prabhupada: These my disciples, they are part and parcel of me. Whole mission is going on with their cooperation. But if he says that “I am equal to my Guru Mahārāja,” then that is offense. Saw this nice post in my mailbox this morning courtesy of my friend Padmapani Prabhu over at Prabhupada Connect and thought we would share it with all of you. The photo is by Mathuranath Prabhu I believe. Srila Prabhupada: Yes, there are many. Reporter: Were their spiritual lives in any way spoiled by the fakegurus? 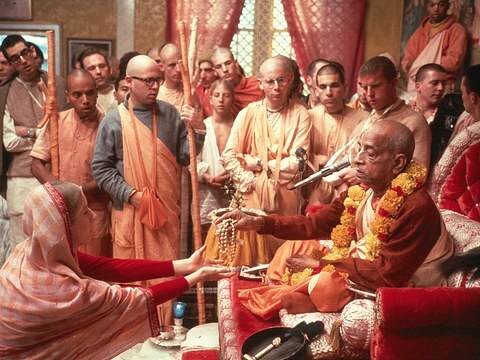 Srila Prabhupada: No, they were genuinely seeking something spiritual, and that was their qualification. God is within everyone’s heart, and as soon as someone genuinely seeks Him, He helps that person find a genuine guru. The following link is a Position Paper PDF on “Initiations After 1977” that you can open or save to your computer. 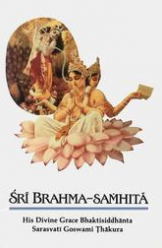 This is a short 54 page booklet which describes Srila Prabhupada’s final instructions on initiations after his departure based on his instructions with śāstric and historical references. I have only had a chance to briefly preview it, but it appears to be well put together and backed up with many quotes and references. initiations after Śrīla Prabhupāda’s departure. 3. To present śāstric references that explain the root cause of all problems within our worldwide Kṛṣṇa consciousness movement, its effects and how to solve it. This book is entirely based on the official documents of Śrīla Prabhupāda and supported by scriptural quotations from Śrīla Prabhupāda’s translations of Bhagavadgītā, Śrīmad Bhāgavatam and other related literature. We have just attempted to compile it in order to serve his mission and the devotees who are true to his mission. This morning I was inspired by a post I happened upon on Prabhupada Connect. 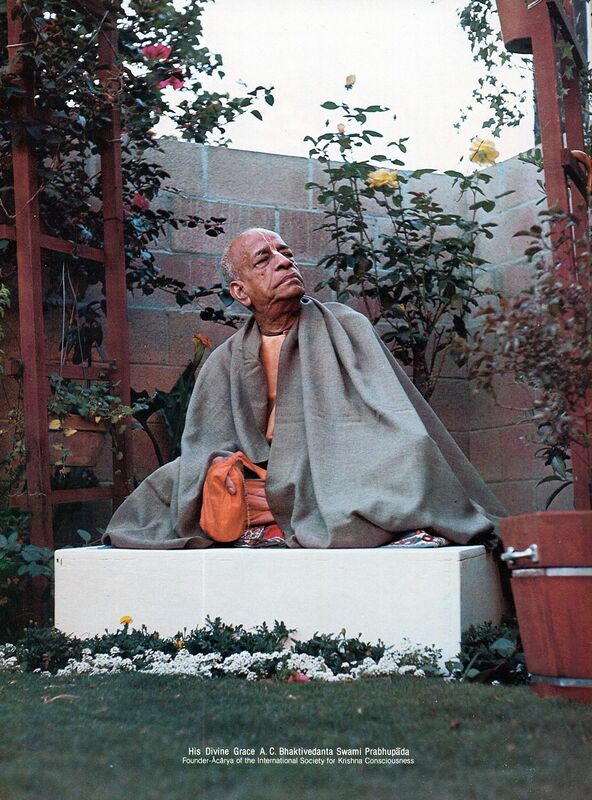 I expanded on the post with a few select verses from Srila Prabhupada’s books. I saw this photo and post yesterday on the Prabhupada Connect web page. It was such a special photo that I thought we should share it with you all here as well. The other day I got a new phone, a smart phone. I wanted to see how smart it was, so I asked it a Question. 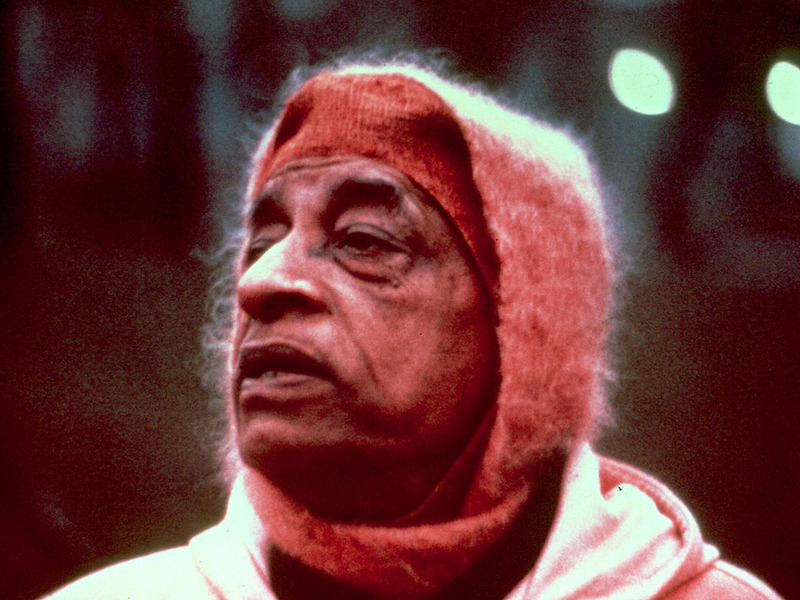 “Who is Srila Prabhupada” and I was very surprised when it started talking, with authority. It also brought up a Google page with links to various articles. One of the links brought me to this very informative composition on the history of ISKCON. Although I was aware of most of the history, still to see it all written in one place was something. Thank you to Nrsimhananda Prabhu, who did a fine job of putting it all together. We share it with all of you. This is a history of GBC resolutions, gurus approved, gurus suspended, and other key events in ISKCON as specifically related to diksa and siksa gurus. 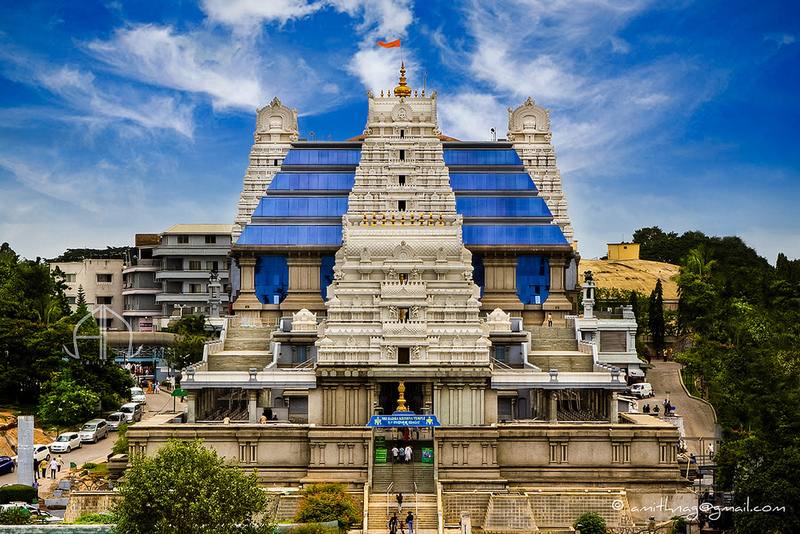 Although compiled carefully over many years, and in consultation with many ISKCON members, some historians and some former members, there are undoubtedly a lot of errors and omissions in this document due to a lack of information. There are especially errors in terms of the specific years that some persons were approved or disapproved to act as diksa guru in ISKCON. Such errors are due to a lack of record-keeping on the part of any official ISKCON body. This is intended to be a public document, for the view of anyone interested in ISKCON history; it is not an internal document. (Note: most GBC resolutions are here in a summary form; some are in the exact wording). 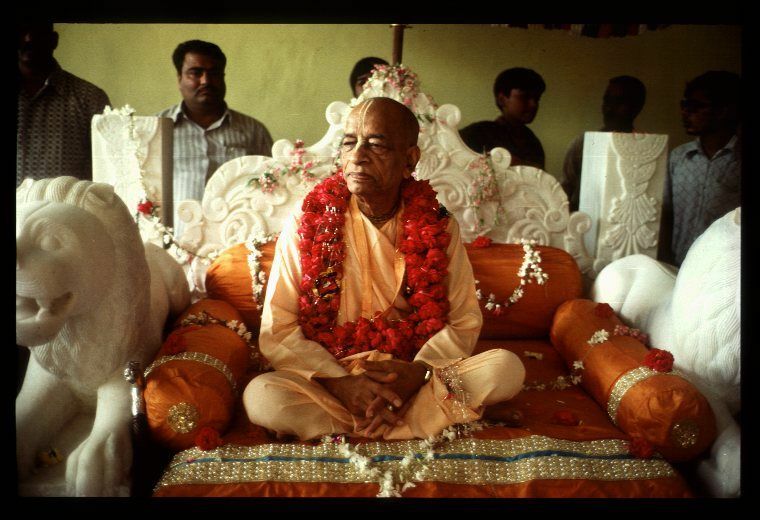 There is an ongoing debate on how initiations were to go on after Srila Prabhupada’s physical disappearance. Many devotees don’t like to talk about it or think about it, so conditioned are we to accept the status quo. But I think it is important not to turn a blind eye on the issue of initiation, and how it was meant to go on, as initiation (accepting a spiritual master), is a very important step in progressing in spiritual life. Success in spiritual life is in following the instructions of the spiritual master. So for the sake of keeping the very important issue alive we present the following post that we saw recently on the Prabhupada News website. 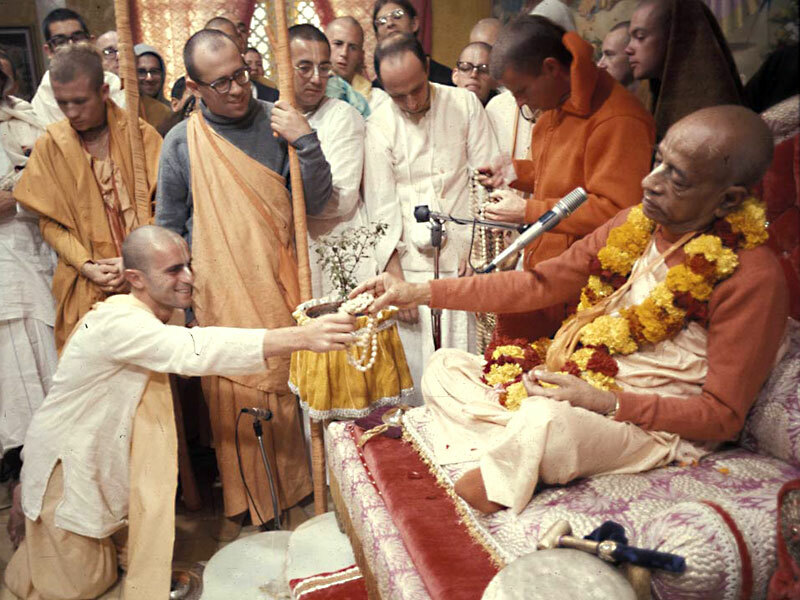 It is widely known that Srila Prabhupada instituted a ritvik or representative (proxy) initiation system throughout ISKCON as early as 1971 in order to meet the growing need to initiate his disciples worldwide. However what is not widely known is that he instructed his disciples to continue initiating new disciples on his behalf even after his physical disappearance. He called those disciples who performed the initiation ceremonies ritvik representatives of the acharya (officiating acharyas). Below are quotes directly from Srila Prabhupada for the evidence of these instructions as well as explanations, philosophical insights, and historical background. We are sad to report the departure of Sriman Brahmananda Prabhu, on of the very first disciples of His Divine Grace A. C. Bhaktivedanta Swami Prabhupada. He was well loved by many. The following is a report from the Sampradaya Sun News and a letter that arrived in my mailbox this morning from Aprakrita Dasa, reporting the news. 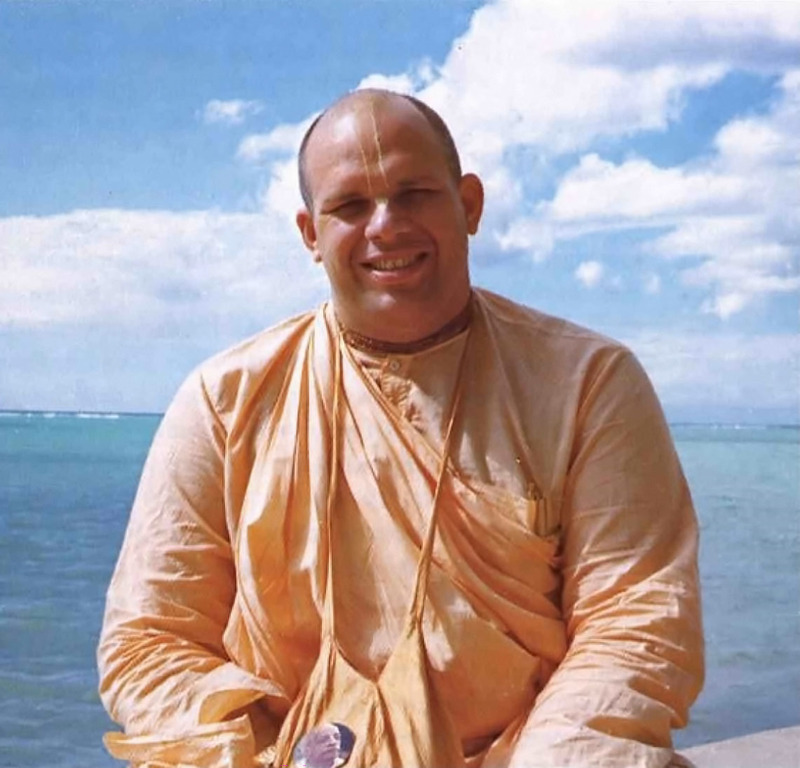 Jun 07, 2015 — CANADA (SUN) — We have received news of the departure of Brahmananda das (ACBSP), who left his body in Vrindavan-dham earlier today. Brahmananda Prabhu (Bruce Scharf) joined Srila Prabhupada in New York in September 1966, as one of Prabhupada’s first disciples in New York. 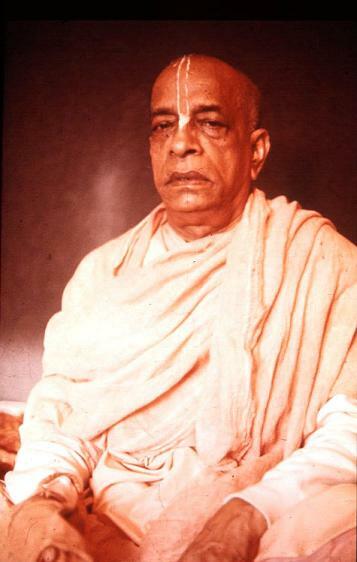 He was ISKCON’s first temple president. 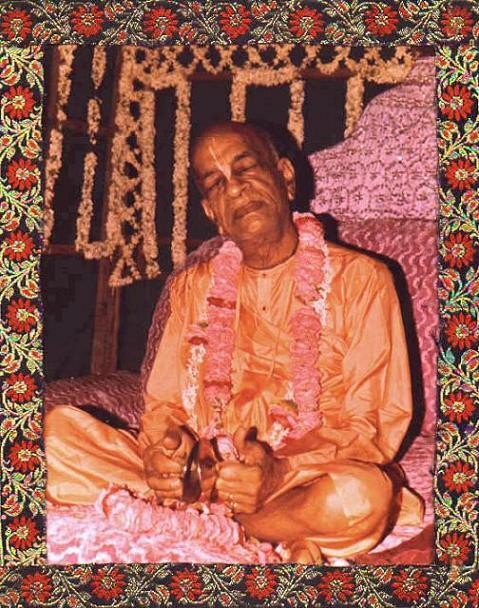 Brahmananda was involved in nearly all aspects of Srila Prabhupada’s early preaching mission, from Ratha yatra to harinam and book sankirtan, and publishing the first issues of Back to Godhead magazine. 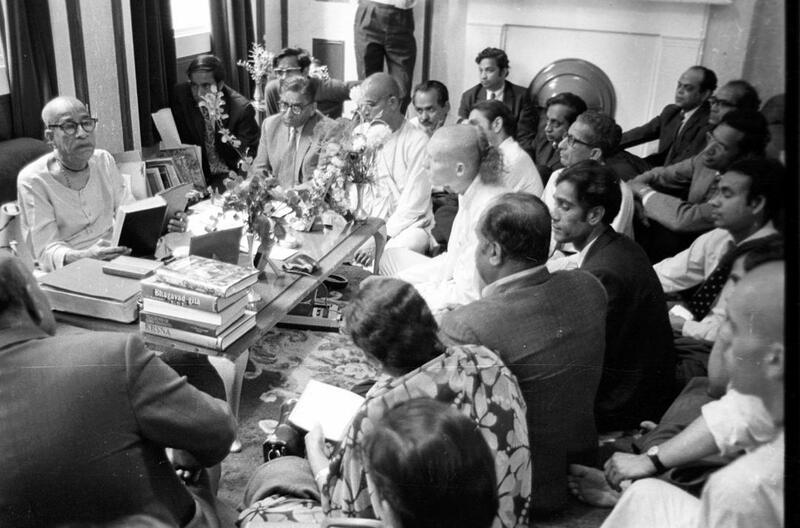 He also arranged many lectures and meetings for Srila Prabhupada. The Guru Is A Pure Devotee! 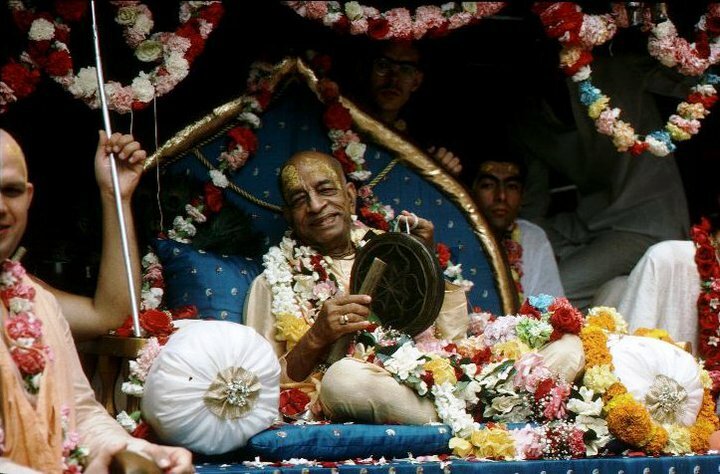 The following is a very nice post written by Madhudvisa Prabhu, it is heavy, but is backed up by scripture and quotes by Srila Prabhupada himself. It was worth my time reading, and thus I share it with all of you. Hare Krishna! 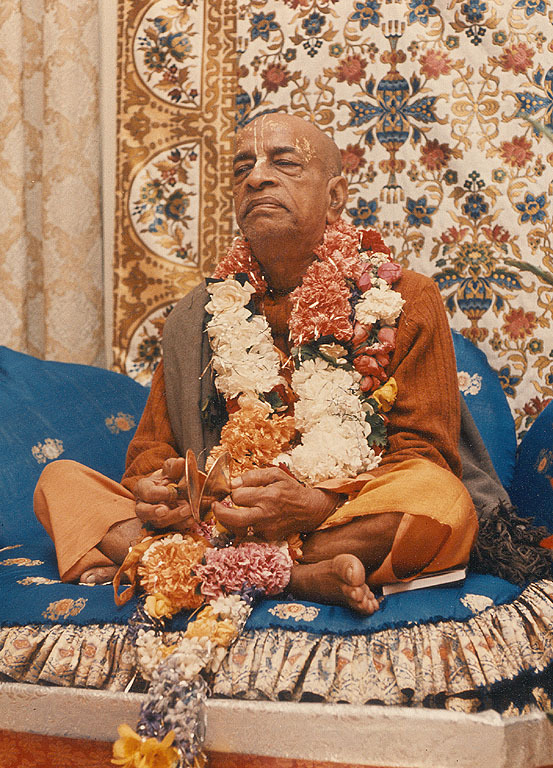 During Srila Prabhupada’s physical presence there was no confusion in ISKCON over the qualifications and qualities of a bona fide guru. Srila Prabhupada was personally present and he exhibited all the qualities perfectly and all the devotees understood the spiritual master was a pure devotee. That’s what Srila Prabhupada demonstrated by his personal actions, that’s what he wrote in his books, that’s what he preached in his classes and that’s what the devotees understood and accepted. The spiritual master is a transparent via-medium to Krishna. His words are non-different from Krishna’s, hearing him is just as good as hearing Krishna personally. And his words are absolute and perfect because he is not presenting his own ideas, he is simply repeating what Krishna and the previous acaryas have said in a way suitable for the understanding of the audience. He’s not changing the message, adulterating it or adding in any ideas of his own, he’s presenting Krishna’s words and Krishna’s philosophy AS IT IS. Honourable High Court of Karnataka dismissed an appeal filed by some of the followers of ISKCON Mumbai on April 9th, 2015. Honourable Justice Anand Byrareddy was hearing an appeal filed by followers of ISKCON Mumbai seeking to get control of ISKCON Bangalore Society (Regn. No. S.49/78-79), claiming that they are the actual Governing body members. Earlier the same application was filed in the City Civil Court as OS 1758 of 2003 in Bangalore by ISKCON Mumbai followers and had been dismissed. Every day the number of people interested in practicing yoga and meditation increases by the thousands. Unfortunately, a person looking for a suitable guide is likely to encounter a bewildering array of magicians, self-styled gurus, and self-proclaimed gods. In an interview with the London Times, Śrīla Prabhupāda explains how a sincere seeker can tell the difference between a counterfeit and genuine spiritual guide. Recently I had the good fortune to meet one of my God brothers, Dhira Govinda Prabhu. It was on the appearance day of Srila Bhaktisiddhanta Sarasvati Thakur. I had heard of him, and in the past, had posted some of his writings, and had read his book “Srila Prabhupada; The Prominent Link”, but had not yet meet him. I found him to be a very nice devotee of good character. And just to give his voice a broader range we decided to post his book Srila Prabhupada The Prominent Link as well as the Prominent Link Supplementary Articles here. Click on either of the above underlined links to read or save the pdf files. In February 1936, in Bombay, India, the members of a reputed religious society, the Gaudiya Matha, were astonished by the powerful and eloquent words of a young member who spoke in honor of his spiritual master, Srila Bhaktisiddhanta Sarasvati Gosvami. Three decades later, the young speaker would become the world-renowned founder and spiritual master of the Krishna consciousness movement. Srila Prabhupada’s presentation is a memorable statement on the importance of the guru in spiritual life. …from that first meeting with Srila Prabhupada, my whole life’s purpose became to bring people to meet Srila Prabhupada. And I was able to do that for many years. But when he passed away, I wondered ‘what will be my service now?’. My whole service had been to bring people to Srila Prabhupada. Now, I am always encouraged when I hear my Godbrothers speaking in this way, because this is how I have always felt, and continue to feel. That my main purpose, as a disciple, is to bring people to Srila Prabhupada, and there-by bringing them to Krishna.